We have released a new G-Force LCD update (Build 232) now including RaceRoom support and many improvments and fixes. You can Download it here! The new SimDash Version 19 is released – Grab your update here! New range of PS4 Compatible Sim Racing products available here! 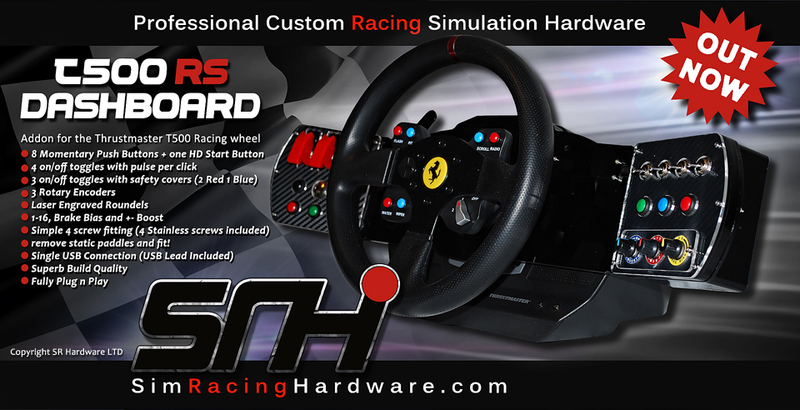 Sim Racing Hardware design and manufacture cutting edge, high-end simulation equipment for both Corporate Clients and private enthusiasts. As well as an ever growing product line, SR Hardware can offer a bespoke building service that allows us to tailor an item to meet your specific needs. Our customer base ranges from Race Teams to Driver Training Centers and Sim Racers. With thousands of customers worldwide and a reputation for top quality products alongside superb customer service, you can trust SR Hardware to provide you with the product and support you need. Let SR Hardware take your simulation to the next level and beyond with our innovative, forward-thinking products and unique custom service. Simulation just got a little bit more real! 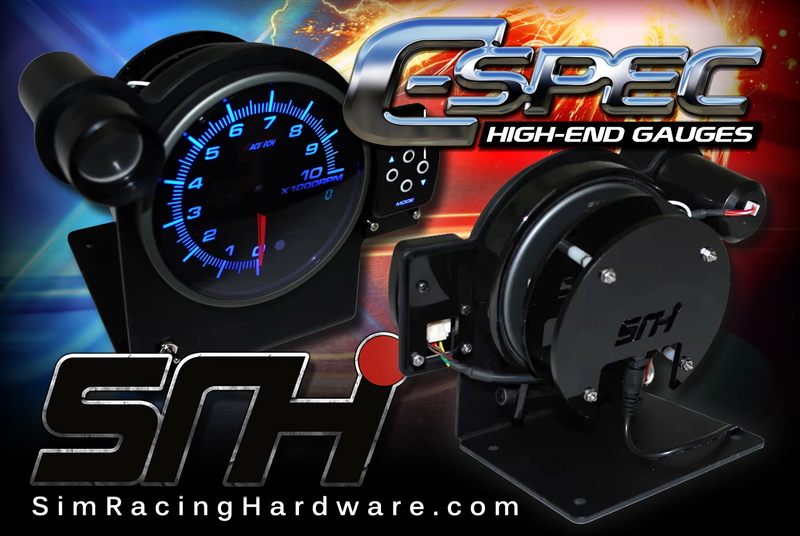 SRH has once again introduced another high-end product, bringing more features and great looks to your sim rig! After the success of the T500 Dashboard, we have now released a version for Thrustmaster’s popular T300 Racing wheel. The new dashboard brings all the advantages of extra buttons and switches as well as superior immersion to the newest Thrustmaster wheel system. The new dashboard brings all the advantages of extra buttons and switches as well as superior immersion to the newest Thrustmaster wheel system. Available now, a range of interface controllers designed to bring a new standard of quality and style to sim racing. This modular product line enables the user to add further components and expand the units functionality.